Jacket and tie is not required but we prefer smart casual. Please note that sportswear and caps are not permitted in any of the hotel restaurants and bars. Valet car parking facility at £42.00 per 24-hours. 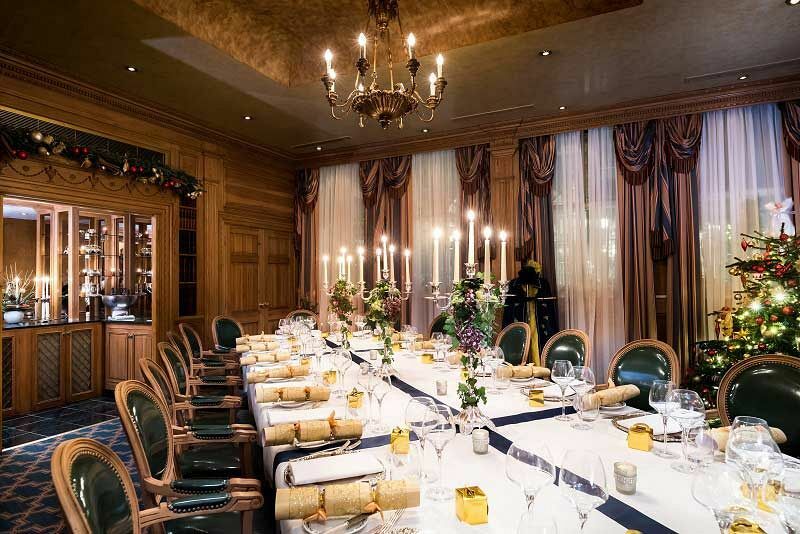 This Christmas party season, treat your team to an exclusive celebration at this outstanding five-star property in the heart of London in stylish Kensington. The venue is a beautiful and breath-taking Grade Two Listed building that offers old world charm with striking furnishings, original artwork and exceptional service from the dedicated team. 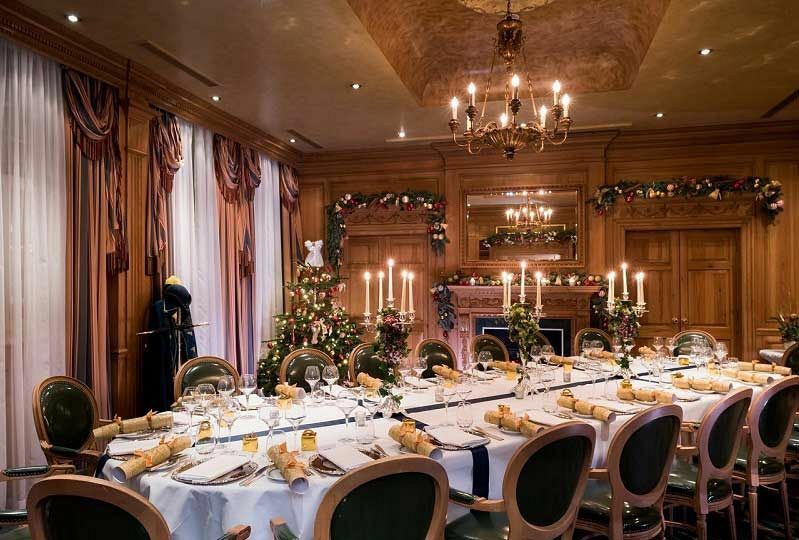 With this excellent five-course candle lit dinner package, you and your guests will be able to indulge your senses in some outstanding food in a sophisticated atmosphere and celebrate the festive season at the end of the working year. On the night of the event, guests will come dressed to impress for this glamorous dining experience, where they’ll receive a warm welcome on arrival from the friendly team, who will direct them to their private event space. A delicious, chilled glass of Champagne will be served to mark the start of the evening, before guests enjoy a spectacular five course dinner with Champagne Sabrage, that comes with festive novelties and music. This event is the perfect way to reward everyone for all of their hard work during the past year and will be sure to provide each guest with an unforgettable experience. Book your five-course candle lit dinner exclusive celebration today by sending an enquiry through to this excellent venue!